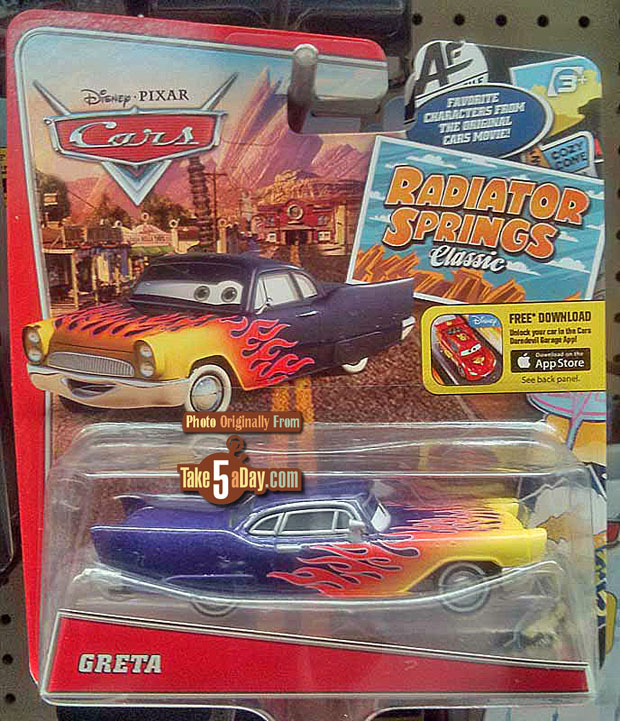 The Toys R Us exclusive re-release line “Radiator Springs Classic,” card design has been updated. 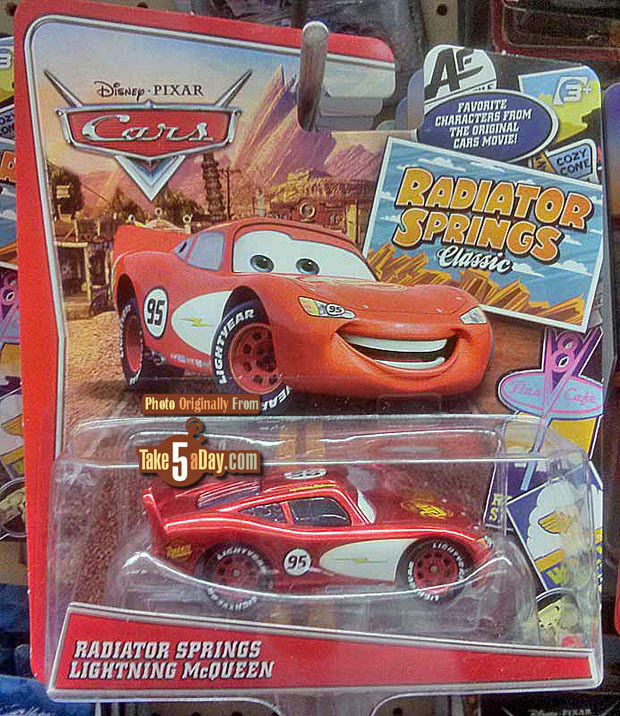 It looks much nicer – much cleaner. 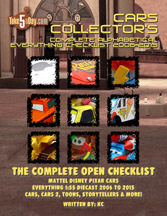 BUT there are some new cards with the Disney CARS App snipe – all the cards with 2 versions? AND-OR old style cards NOW with the App snipe (because these cards did not have enough going on). 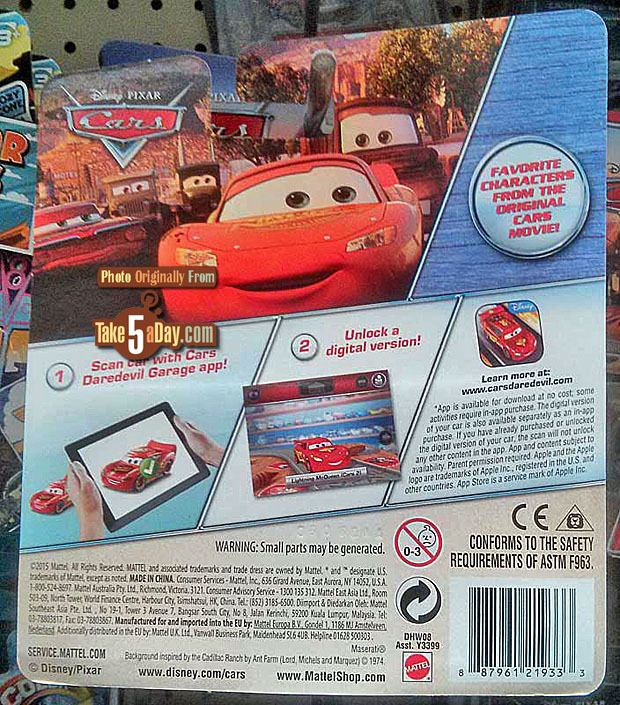 Cardbacks feature some of the re-releases. 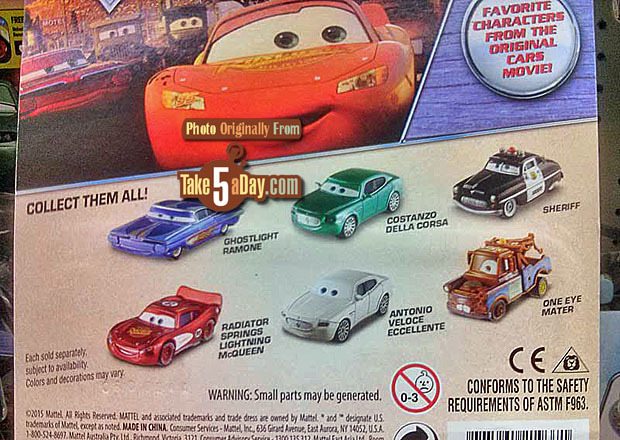 Antonio Veloce Eccellente and One-Eyed Mater are in their first re-release since the Final Lap days. It’s been a while since we’ve seen Ghostlight Ramone also. The cardback with the app snipe. 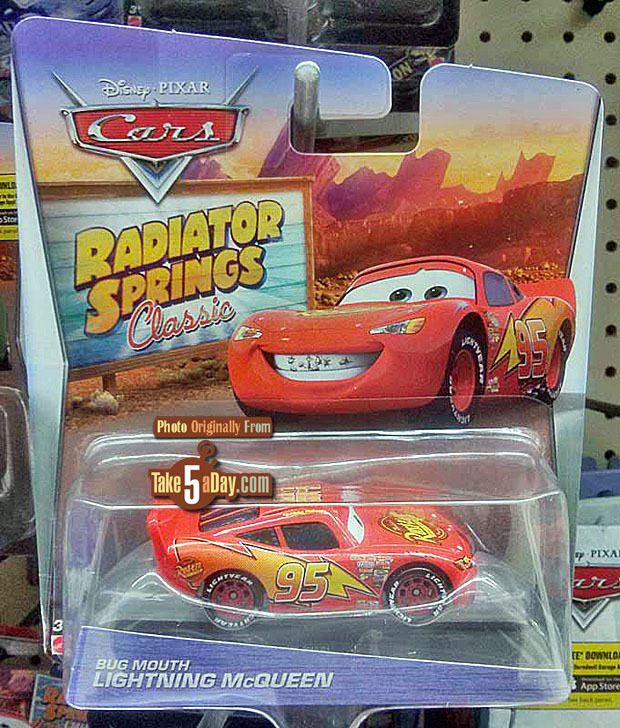 The card from the first few years of RS Classic. 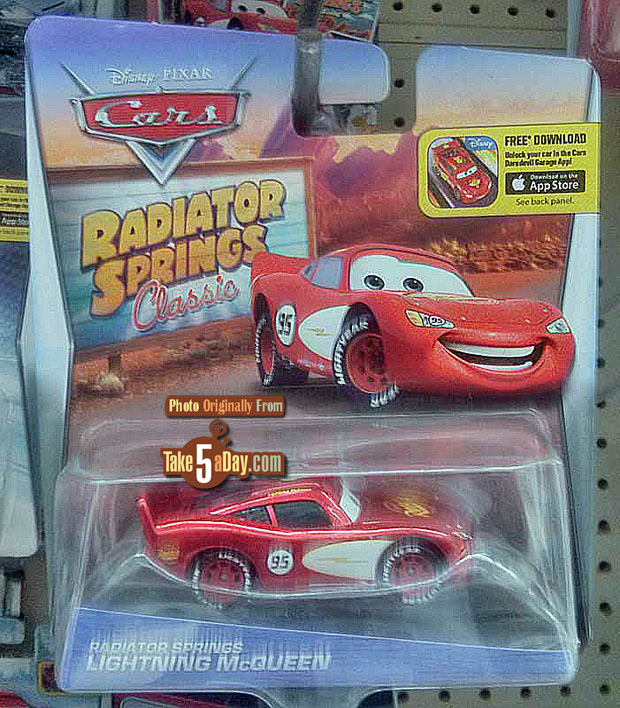 Already found Timothy Timezone and One Eye Mater!